THERE ARE SEVERAL WAYS you can get into managing a top-tier team. You can play professionally and work your way into management through what you’ve learned during your time within the sport; you can acquire your coaching badges and start low on the totem pole and prove your credentials; or you can work at Mercedes, get your bachelor’s degree in business engineering, a masters in innovation management, become a qualified engineer, top your German football federation coaching class and master five languages. Domenico Tedesco chose the lesser-travelled route number three. Having only kicked the ball around at the lowest rung of German football, the Kreisliga, Tedesco could not take the route of Zinedine Zidane, who turned on-the-pitch superstardom into a managerial position. And having only coached the VfB Stuttgart under-17 and Hoffenheim under-19 sides, as well as a brief stint rescuing FC Erzgebirge Aue from relegation to the third tier in the span of 11 matches, he did not take the steady build-up path of José Mourinho. Tedesco is what you might call a managerial ‘reach’. 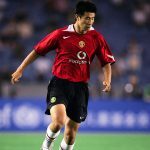 At just 32, he didn’t have the beefy resumé and proven success, and, based on modern footballing tendencies, should not have been managing at the highest level. Yet, for the Bundesliga, this is the new thing, and Tedesco is more or less the golden boy of it all. 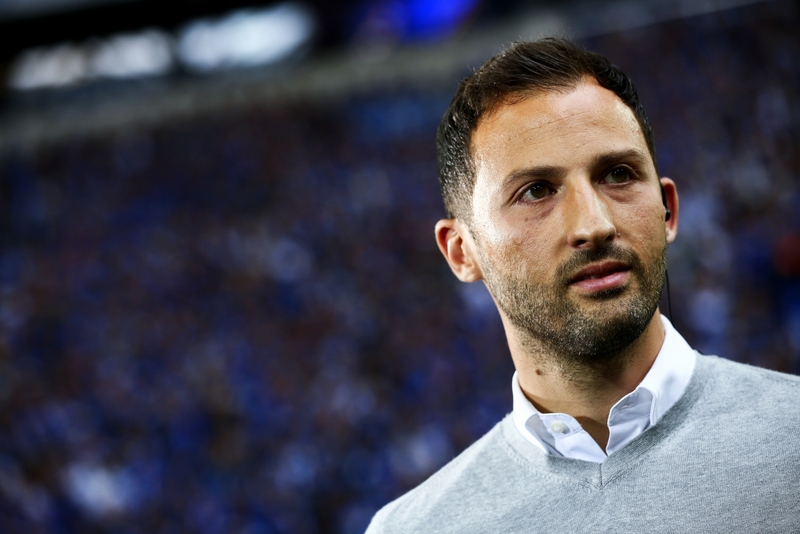 Tedesco was in the same coaching class as 29-year old Hoffenheim manager Julian Nagelsmann, but it was Tedesco who topped the class. That, along with less than a year of senior managerial experience, was what Tedesco had going into his new job. With a cv that could fit on a post-it note, the third biggest club in German football history handed Tedesco the reigns to a team struggling with a death-spiral down the table and handfuls of unrequited Bosmans, with more likely to come. It was a tough situation to walk into, and one that you’d expect would take a bit of time to sort out. Tedesco didn’t take his time. He jumped right in, selling off 15-year club icon Benedikt Höwedes and signing no one to take his place. Tedesco noted that he wanted to keep Höwedes, but that he could not guarantee the captain playing time following his injury. The German international would have to earn his place just like everyone else, and that wasn’t enough for the longest-tenured Schalke man. Star striker Klaas-Jan Huntelaar – albeit a fading force – was also departing the club and, in his stead, Tedesco went for last winter’s arrival from the 2. Bundesliga, Guido Burgstaller, in an effort to cut the wage bill. If there weren’t raised eyebrows by Tedesco’s appointment alone, there should have been an ensemble of them by now. And whatever eyebrows remained dormant had to at least twitch a little when Tedesco and Schalke lost three of their first six matches to plunge them into the mud of mid-table obscurity, where they finished last year. But in a day and age when managers have to make immediate and comprehensive changes lest they face the chopping block, Tedesco boldly stuck to the plan, continuing to emphasise the importance of organisation at the back, which seemed almost counter-intuitive when considering that this was the guy who sold the team’s captain, Höwedes, the centrepiece of their back line. The Italian let what resources he already had fill in the blanks. He turned 35-year old Brazilian defender Naldo, a player who was supposed to be well past his prime when he came over from Wolfsburg in 2016, into the defensive talisman and partnered him with a 21-year-old prospect in Thilo Kehrer and a defensive midfielder in Benjamin Stambouli. It’s not exactly a conventional defence but it has proven to be surprisingly effective. Naldo seems to have reached peak form again, Kehrer leads the entirety of Germany in tackles won, and Stambouli is right behind him. If the individual talent isn’t what’s holding it all together, then something else has to be that adhesive. That something is Tedesco. Still, it is far too early to go anointing him as some patron saint of defensive solidity. The question has to be turned to if his approach is sustainable at this level of play, where he will be expected to compete with the best in the world and threaten in European competitions. After all, if saving a club from relegation immediately earned you a promotion to managing a top-tier club, then Sam Allardyce would be managing Real Madrid by now. There had to be something else, some hint that there was more to Tedesco than disaster aversion and that it could be sustainable. All of these testimonials are pointing to one clear methodology for the young Italian’s success: he is so engrossed in his planning that everyone else has to be as well. It’s always easy to listen to and follow someone when they know what they are talking about; Tedesco is one of those guys. He’s one of those teachers whose passion makes them a joy to learn from. He’s taken the resources already at the club, added in a few odds and ends, and pulled from them the emotion that Schalke is powered by. Amine Harit, the young Moroccan winger who chose Schalke over the glitz and glamour of the Premier League, was swayed by Tedesco’s talk of the emotional depth of the Gelsenkirchen. It was that depth that turned a half-time 4-0 Revierderby deficit at Signal Iduna Park into a 4-4 draw. He also carries with him a strict penchant for dealing with anything that goes against his plan for the club. Take the Höwedes example, or how he openly called out star prospect Breel Embolo for being out of shape. It seems almost self-destructive for a new, inexperienced manager at a formerly-floundering team to go after the team captain and the future of the club, but it’s beyond evident that the team is better off with a unified vision of unorthodox players rather than any lingering doubts with indisputable stars. Take last season compared to this one. The personnel have not changed much. If anything, the squad has become weaker, at least on paper. Three staples – Höwedes, Huntelaar and Sead Kolašinac – all left the Germans. Höwedes was replaced by no one, Kolašinac by the barely-known yet now massively effective Bastian Oczipka, and Huntelaar by a 28-year-old second-tier striker in Burgstaller. This shift has signalled their return to Bundesliga – and by extension, European – relevance. Again, if not by individual talent, then something must be holding it all together. That something is Domenico Tedesco. 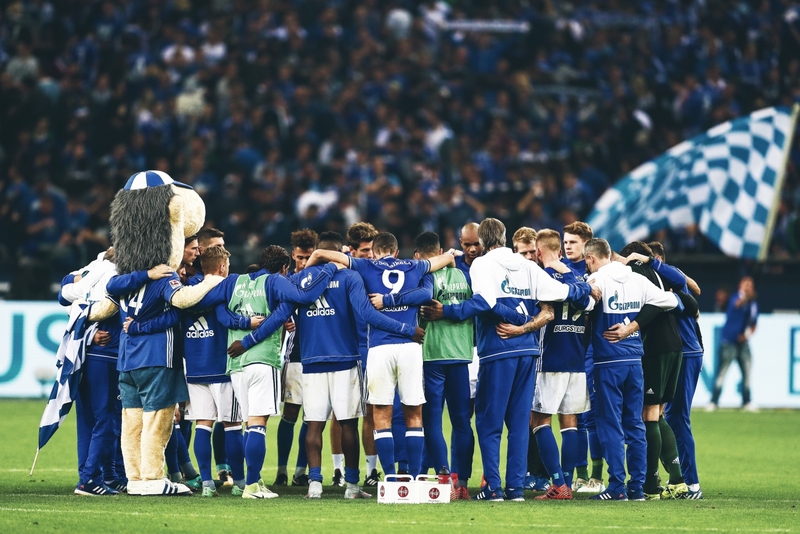 Schalke are a top-tier team built on passion and emotion rather than individual talent, star power and pizzazz. What a novelty. As complex and intricate as his style is, Tedesco’s early success and concrete foundation can be boiled down to one simple summation – he is a passionate leader with a clear vision. 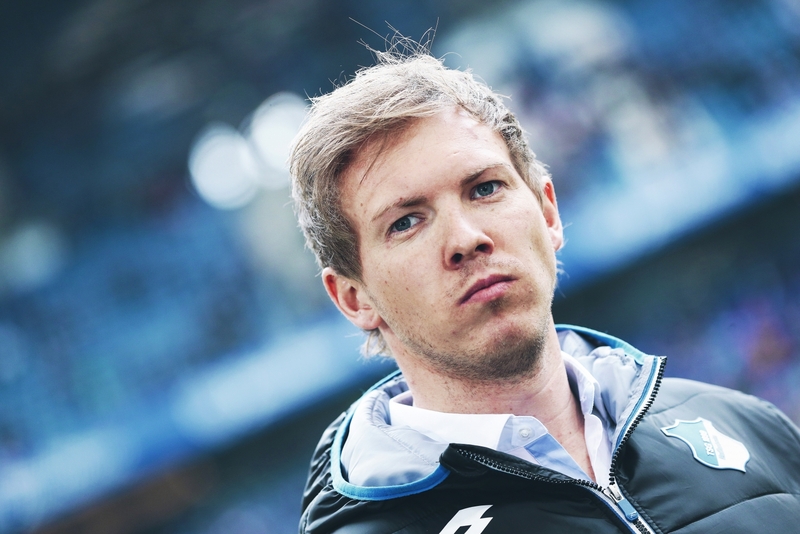 Everything you extrapolate from there turns into the roots of this great project he is growing at Schalke, but it all stems from this seed that is his passion and vision. Belief is a powerful tool, and Tedesco has turned himself into a beacon for this proud club.